"I couldn't do my job without Greg's emails. Period." There are few things that cause us more paranoia than money. Where is it? How do I get it? Is anyone taking it? When a business provides services and sends its customers an invoice, the expectation is to be paid the proper amount in a timely manner. For some businesses, the timing of payments is a critical component because they need that cash to buy more raw materials to make more products to sell. One of my responsibilities as COO of influencers@ is to manage all of our vendor relationships, in addition to handling all billing of our customers. Sitting on both sides of the table as a vendor and a customer, I quickly learned the importance of paying on time. Similar to being a good neighbor and not blasting music at 2am, being a good customer and paying your bills on time signals to your vendors that you are honest, trustworthy and value their relationship. Whenever a vendor sends you an invoice, be sure to organize it properly so it doesn’t get lost in the shuffle. I work with Eileen Han on our team to log each invoice in an expense form and check that form at the time of each payment period to make sure we don’t forget anything. Knowledge is power and comfort. 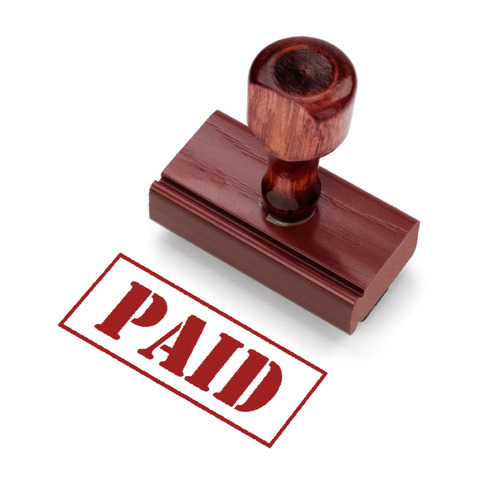 Let your vendors know when you have received their invoice and when a check has been sent. If they send you the invoice on the 7th of the month and your company policy is to pay invoices on the 15th, simply let them know that you’ll be sending a check on the 15th. If there is ever an issue with paying an invoice, the best course of action is to be completely honest with your vendor. They are business owners too and will likely understand. They might be willing to work out a payment plan or write off a part of the invoice. After all, they want to keep you as a customer and help your business grow so you’ll continue to buy more from them. This one is simple – just remember that you are to your vendors as your customers are to you. You would hate it if your customer didn’t pay you on time, so give your vendors the same courtesy that you expect from your customers. I'm a tech entrepreneur who codes + sells. Currently, I'm President of Crystal. Previously, I co-founded Attend.com. Everything I learn, I share on this blog. Join hundreds of others who receive my posts in their inbox, once per week.